We have all heard about safety issues when it comes to hoverboards catching fire and exploding, but what about issues while riding them? Heavyweight Mike Tyson posted a video to his Instagram Monday of him getting KO'd by his daughter's hot pink hoverboard. At first, he appears to be riding on the hardwood floor just fine, and even takes a few spins. When Tyson made it to the rug, it was a completely different story. 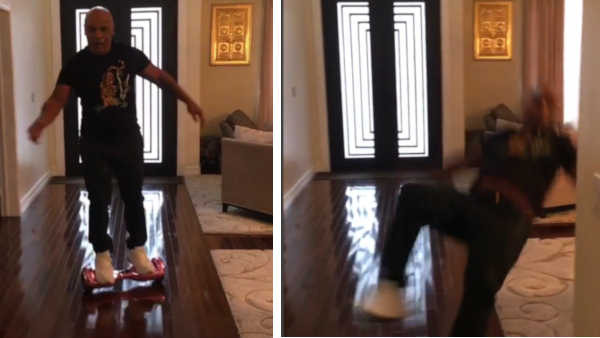 Hoverboard: 1, Mike Tyson: 0. Tyson later tweeted saying, "Guys I'm ok."